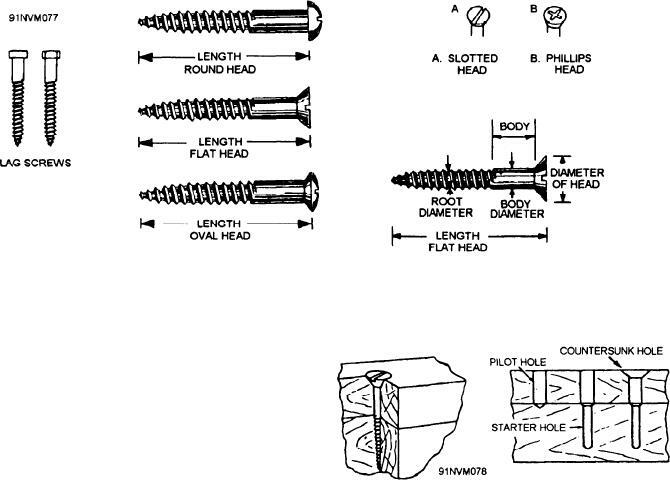 Figure 3-51.--Types of wood screws and nomenclature. Figure 3-52.--Sinking a screw properly. more than half the length of the screw. to the grain of the wood. reinforce glued joints and delicate parts of a job.